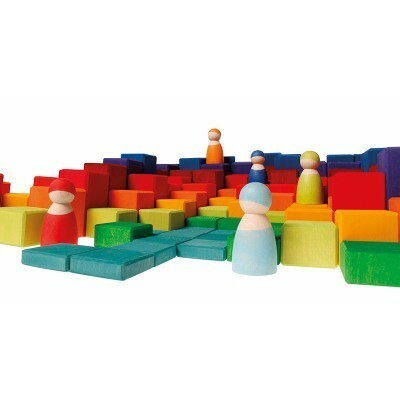 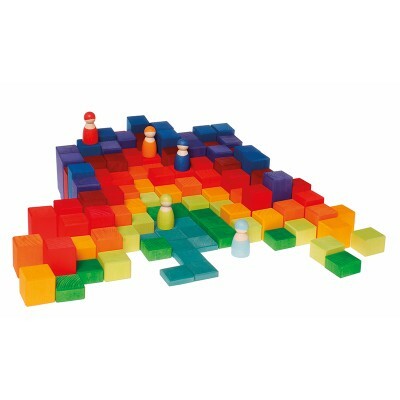 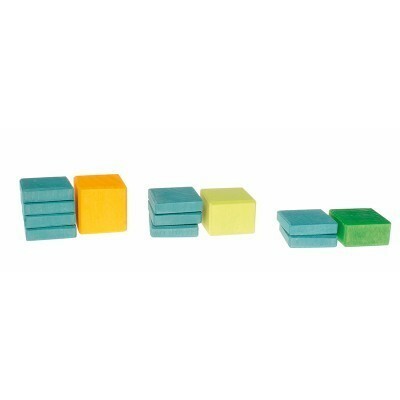 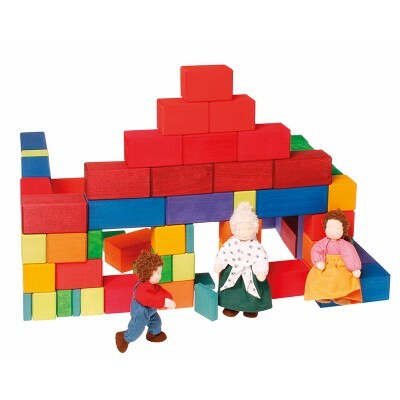 With this building blocks magical palasts and castles arise, beautiful cities, towers and landscapes... one can create everything with these bright coloured blocks! 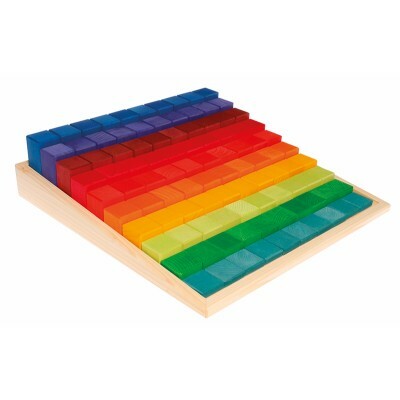 100 building blocks in a wooden frame. 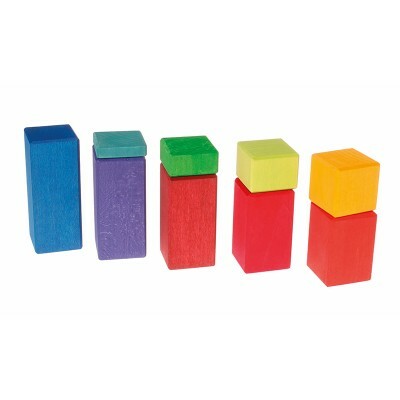 Tamanho: frame 44,5cm, single blocks 4cm thickness, height 1-10cm.